Has work experience in India, U.S. Here is an honest, warm-hearted, quick-witted, considerate, optimistic and pragmatic girl. Here is a sincere, experienced and helpful hand you can rely on. Here is a freelance translator who can be very flexible in schedule. 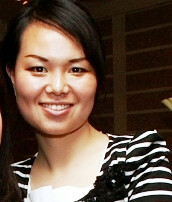 Here is an assistant who is quite specialized in cultural exchange and international business field. Here is a national licensed tour guide with rich experience to take care of guests from outside China. Here is friend who is open-minded and believes in mutual respect. In my university, my first major was International Trade; my second major was Chinese Language and Literature. I found them both so absorbing. I had quite a lot of memories during my school education, including laughter, luckiness and tears. Without those encounters, I would never have grown to be ME of today. After the graduation from the university, I got strict training with China Tourism Association and then got my National Tour Guide License of English Language. This led to my exciting 5-year tour guiding experience so far, including part-time and full-time. I am a national licensed tour guide, with rich experience both as national tour guide and local tour guide. In the past years, I have got hundreds of happy clients from outside China, especially America, Canada, Australia and European courtiers. I have organised many tourist groups across all China. I know very well where is the best resources of discount hotels and air tickets, how I can guide my clients to where they what to go, to what they want to see with their own eyes. I was born just in the neighborhood of Chen Village, the birth place of Taichi(taiji), which led me to the sincere interest to this ancient heritage. Till now, I have had many opportunities to work with many highly respected masters both in China and abroad. I once worked as a sourcing representative and later as an international sales representative for an overseas furniture design and manufacturing company in Guangdong. Lastly, I am never unfamiliar with top-level exhibitions, e.g. I have went for the Canton Fair for 7 times. - To meet your particular needs, I will give you my sincere and honest suggestions on business arrangement, traffic, shopping, sightseeing, etc. - Share my own discovery and experience with you. Coco is wonderful to work with. She has good knowledge language and is very abundant with active idears that will assist with product advancement for my clients. CoCo tried to learn my need, helped me to take care of my son. She is open-minded, enthusiastic and tried to do her job according to my requirement. Coco was an excellent tour guide. Very well managed. Coco is a most thoughtful guide. And I am glade that I selected her for the tour of N.E. China. Coco undertook a lot of careful planning and made the tour most enjoyable in terms of the sightseeing she planned, many shows and beautiful excursions. Coco will become a most helpful guide. IVA( CoCo) will reply you later, you can login in your account to check IVA's reply ( View "Inquiry List" ). And you can discuss more details with IVAs.